Immunall half litre, also available in one, two, and five litre use the drop down box below to choose the required size. FOR OPTIMAL HEALTH, PERFORMING, RECOVERY, APPEARRANCE. 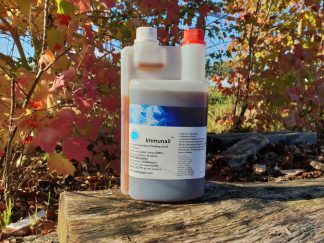 Immunall contains a unique combination of herbs, with a synergetic effect; a cooperative effect, greater than any of the herbs used in isolation. Immunall improves the general condition and overall health and enhances the resistance against stress, from physical, biological and chemical nature. Immunall stimulates the purification of the body, by supporting the liver, kidneys and the lymphatic system in their functioning. 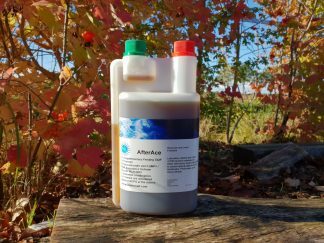 Waste products and toxins are being eliminated. –The optimal function of the metabolism; `building up` and `breaking down`. Immunall stimulates the functioning and health of the digestive system, converting food into energy. Immunall helps to protect and stimulate the liver; the place where transformation of molecules finds place and where they are being recognized as` useful` or as toxins. Immunall will promote an optimal immune system; by supporting the purification, nourishing, protection, activation the organs and vessel systems related to the immune system. (Mucous membranes, skin, enzymes, cells, `natural good bacteria` and organs. 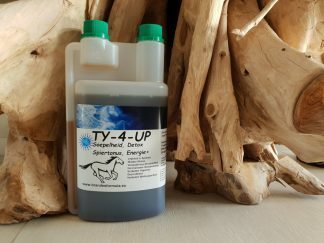 Immunall helps to increase the ability of an organism (for example; a horse or dog) to adapt to the environmental factors, the stress threshold becomes higher. Immunall helps to increase the mental and physical working capacity. Prolonged presence of waste products causes ACIDOSE= LOW PH, poor transport of nutrients and low energy levels, weakened immune system and lower level of health and performance. ACIDOSE will affect the functioning of processes and their organs within the whole body, and will bring symptoms of degeneration of the affected areas. It affects health and performance.